POPE Benedict XVI has named a German financier as head of its scandal-hit bank to help overhaul the Vatican, but the news was overshadowed by his ties to a warship builder. Ernst von Freyberg replaces Ettore Gotti Tedeschi, who was unceremoniously sacked by the board on May 24 last year — a day after the Pope’s butler was arrested for leaking hundreds of confidential papers from the Vatican. Vatican watchers say Gotti Tedeschi’s ousting could have been linked to his drive to make the Institute for Religious Works cooperate with an Italian money laundering investigation but the circumstances remain highly mysterious. The appointment was made just days before the Pope resigns, but the Vatican found itself under fire from journalists questioning the choice of a man who has business ties with a military shipbuilder. Von Freyberg is chairman of the Blohm + Voss shipyard in Hamburg in northern Germany which makes yachts and provides technical services and is a spin-off of a historic company that made warships and planes in Nazi Germany. He is also a minority shareholder in the company. While the Vatican initially said Blohm + Voss was no longer involved in making warships, it later corrected the statement, saying that the company was “part of a consortium that is building four frigates for the German navy”. It added that once the warships were completed the company would be “100 per cent non-military”. Aristocrat Von Freyberg is also treasurer of the German association of the Order of the Knights of Malta, a lay religious order founded during the Crusades in the Middle Ages that has around 13,500 members around the world. The Order last week celebrated its 900th anniversary in the Vatican. From 1991 until 2012 von Freyberg was chief executive of Frankfurt-based Daiwa Corporate Advisory, a consultancy mainly for financial institutions. “This decision is the result of extensive evaluation and a series of interviews that the Commission of Cardinals has conducted, with the constant support of the Supervisory Board,” the Vatican said in a statement. The Vatican is trying to implement reforms to get it on an international “white list” of countries that comply with legislation to combat money laundering after a critical report from the Council of Europe last year. “There is a clear willingness to proceed. The new president is absolutely aware of this,” Vatican spokesman Federico Lombardi told reporters. The report from Moneyval, the Council of Europe’s anti-money laundering body in Strasbourg, gave the Vatican unsatisfactory ratings in seven out of 16 “key recommendations” and satisfactory ratings in nine. The report noted that the foundations for a more transparent financial system in the tiny Vatican state “are now formally in place,” adding: “The Holy See has come a long way in a very short period of time. The bank is currently supervised by a committee of cardinals. The Vatican has since appointed Swiss lawyer Rene Bruelhart, who helped Liechtenstein shed its shady image, to be executive director at its Financial Information Authority (FIA), which Moneyval had criticised for light oversight. The FIA is still headed up by Italian cardinal Attilio Nicora. 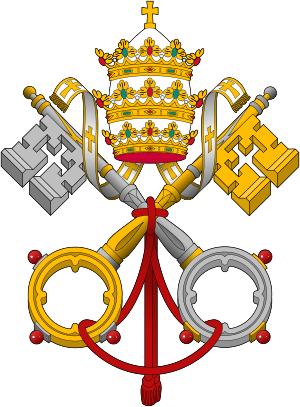 The Vatican bank has a troubled history including in the 1970s and 1980s with the collapse of the Banco Ambrosiano, where the Holy See was the main shareholder, which was accused of laundering money for the Sicilian mafia. This entry was posted in News Archive and tagged Blohm + Voss, Council of Europe, Institute for Works of Religion, money laundering, Pope, Pope Benedict XVI, Vatican, Vatican City by renaissancelearningfoundation. Bookmark the permalink.